I bet you never though you might see the day, that Ciki bakes. BUT… I did. Not only that, my team, amateur as we are.. WON! 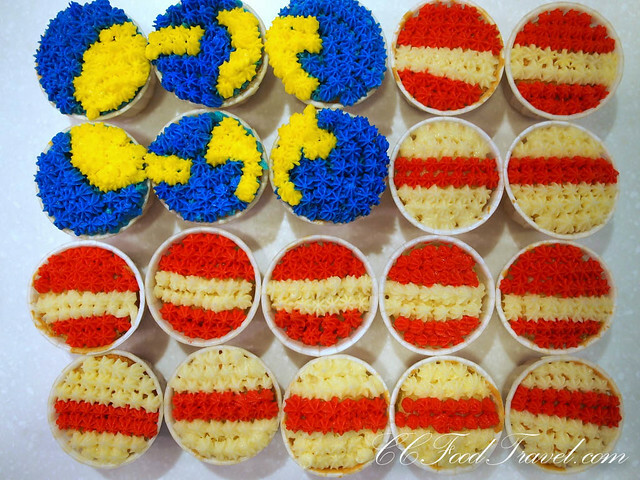 We actually won a prize for baking the best looking Malaysian Flag cupcake, at a cupcake baking event, organized by Celcom, and held at The Cooking House, in Desa Sri Hartamas. 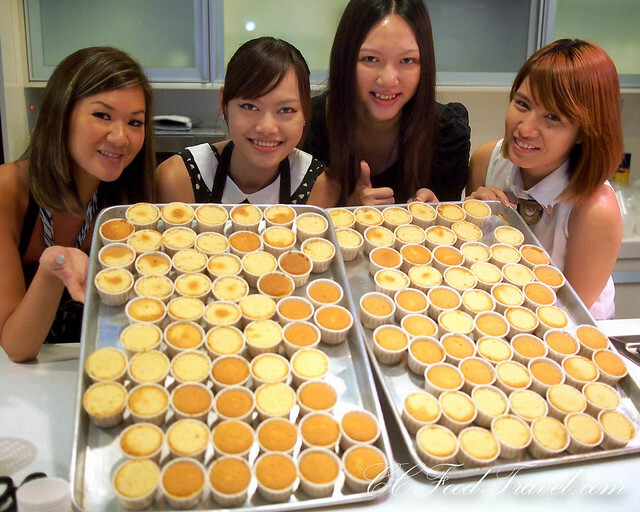 Ciki is up for the cupcake challenge! 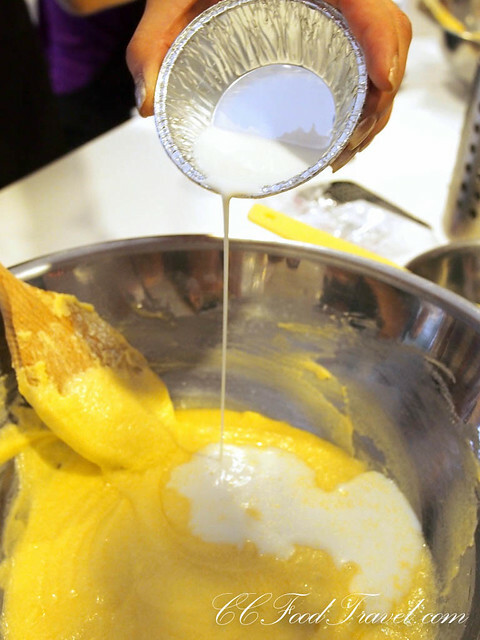 caroline is the reason we won the contest for the day, because her hands are just so darn steady.. and her piping of the icing is just so good! So why the Malaysian Flag? 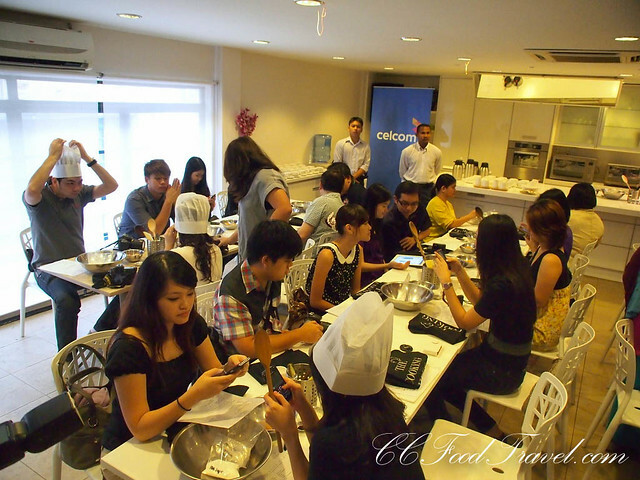 Well, Celcom Axiata Berhad, decided to host this fun and hands-on baking baking class for bloggers, to talk about its online contest in conjunction with our country’s 55th anniversary of independence and the upcoming Malaysia Day celebrations on the 16th September 2012. 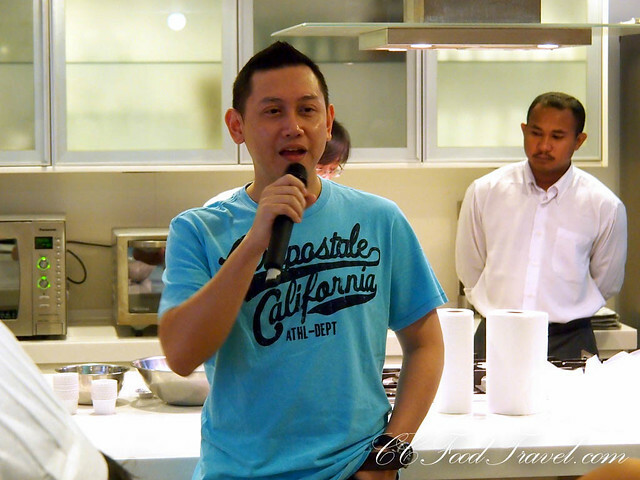 This contest is simply known as The Celcom Cupcake Challenge. 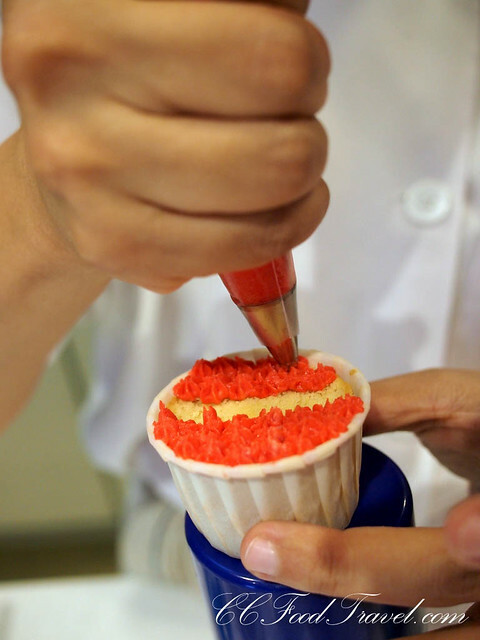 The simple online contest challenges Malaysians to submit photos of their creative cupcake designs and is open to all Malaysians everywhere in the spirit of 1Malaysia. According to Zalman Aefendy Zainal Abidin, Chief Marketing Officer of Celcom, this leading telco company is opening this contest to all Malaysians, not just Celcom customers, as a chance to put their patriotism and creative skills on display. They chose Facebook as the contest channel so that even more Malaysians can come together, share their love for the country, and get connected, even from different corners of Malaysia. 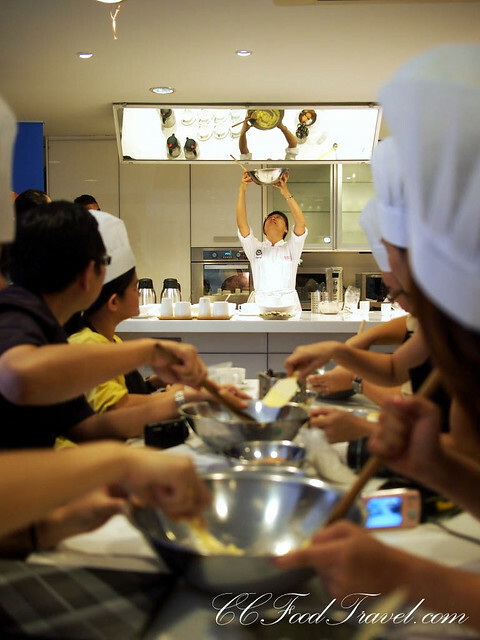 The class was hosted by Lu Soo Chee, resident cake artist in The Cooking House and a member of ICES (International Cake Exploration Societè) and the British Sugar-craft Guild, who has more than 10 years of baking and cake-decorating experience and has worked with professionals around the world. 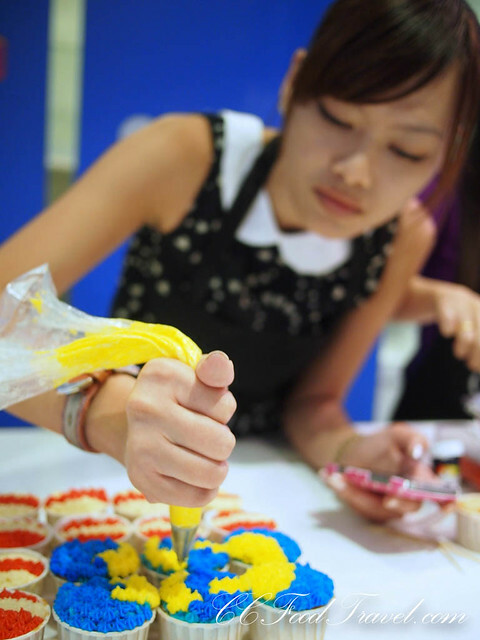 This hands-on, fun-filled session saw around 50 participants from popular Malaysian blogs and media publications learning the basics of baking and cake decorating with a patriotic twist. 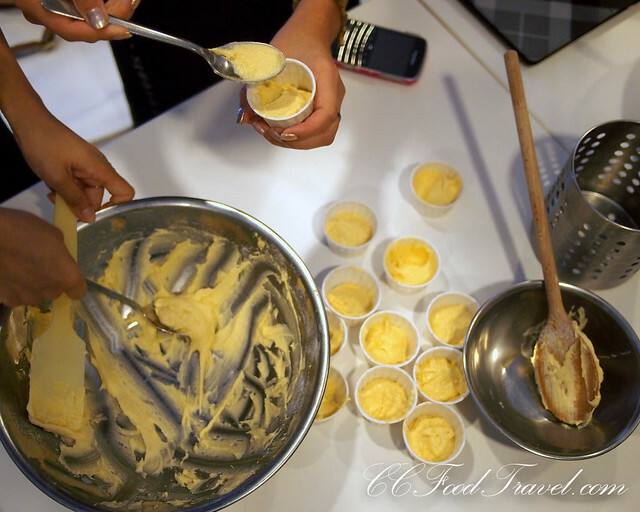 That’s us, getting down and dirty with the baking! Pretty fun stuff and we got to work as a team of 3. 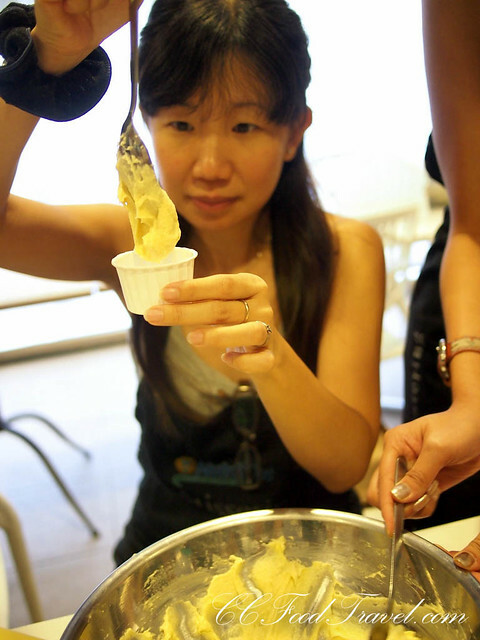 Evelyn.. the picture of concentration.. checking the consistency of the cupcake batter..
Then we add in the white and the yellow.. here is our end product! 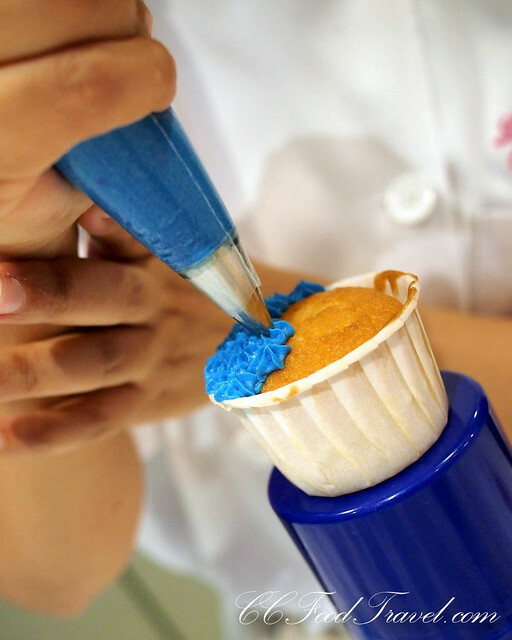 At the end of it all, we decided to submit our “flag” to the Celcom Cupcake Challenge Facebook page. Anyway this contest is not just for bloggers. The good news is that it is open to you too. 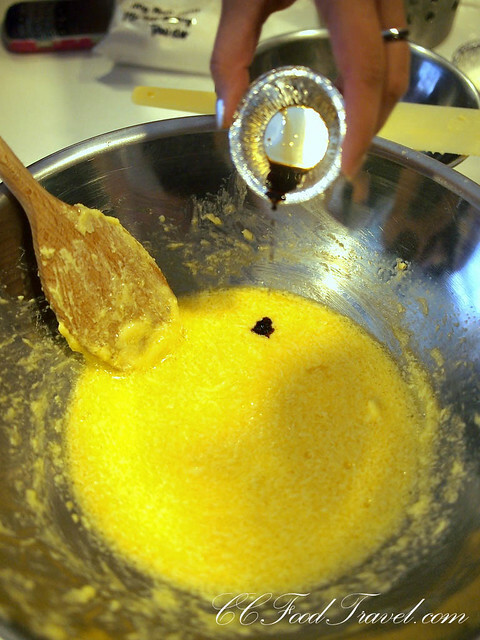 If you think you can bake the coolest, most terrific cupcake and would like to participate, this is how you do it. 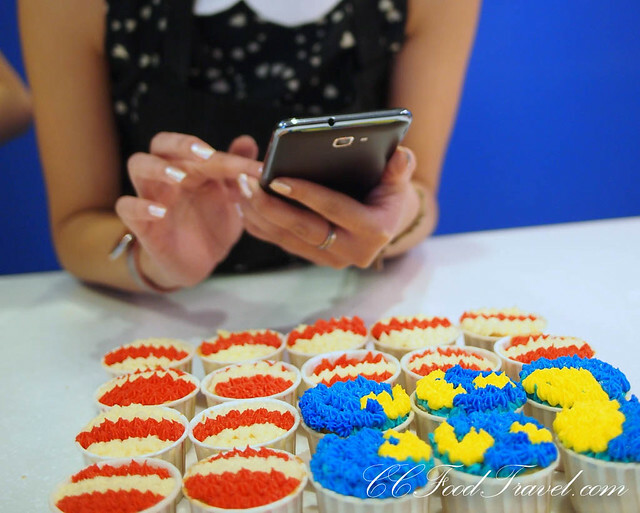 For the Celcom Cupcake Challenge, you will need to design a cupcake with your own creative interpretation of national pride and upload the photo to www.facebook.com/cupcakeschallenge to be in the running to win prizes worth more than RM100,000! From now until the final submission date of 23 September 2012, 55 participants with the most “Likes” on their entries will be chosen to go on to the grand finale on 29 September 2012. At the challenge finale, the 55 finalists are to replicate their cupcake designs witnessed by the public and a panel of celebrity judges, who will choose the top three cupcakes designs based on creativity, uniqueness and closest match to submitted photos. Ken, Ciki, Bok and Eric.. feeling lucky enough to win the challenge! The three top winners will walk away with a brand new Samsung Galaxy SIII smartphone worth RM2,199 each and RM10,000, RM5,000, and RM2,000 in cash for the first, second and third places respectively. The rest of the 52 finalists will receive a cool LG Prada mobile phone as consolation, which is pretty darn good actually, if you ask me! Apparently there will be free Celcom cupcake giveaways this Malaysia Day at selected malls too, so look out for it. For more information, visit the Celcom Cupcake Challenge Facebook page or the Celcom’s Website, or call 1 300 111 000 or 1111 from a Celcom mobile. It was really FUN!! 😀 and yeay our group won! wow..congrats!!!! The cupcakes LOOK AMAZING!!! can I have one?:P..lol. It makes me want to do a version myself – aiming for a nice elaborate design. Heh. yay! hope u win too! Wow, Celcom is really giving away some cool prizes. You look so cool ciki! 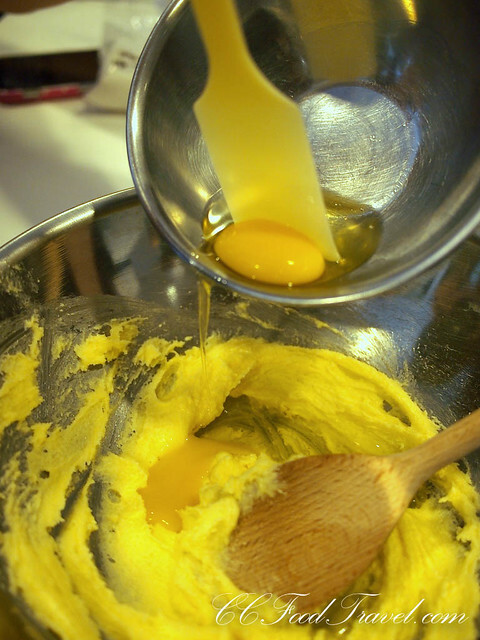 in the first photo, and all the baking foto. 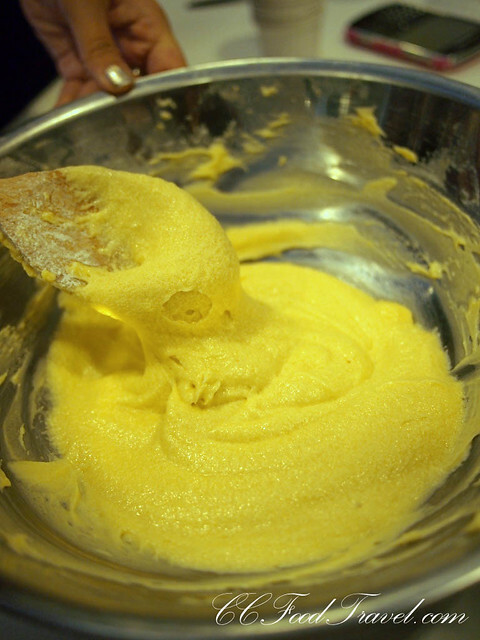 I didn’t know you bakeds! And I will enter mine.. thanks! Haha.. I didn’t know I baked either! I guess its easy with so many ppl doing it.. much more fun! Good luck.. don’t forget to ask your friends to join!